Life is a Garden > Months of the Year > April > Ground covers are the new green! Ground covers are the new green! As the environmental benefits of ground covers become big news, a host of exciting new ground covers are now available. The busy and ecologically aware homeowner of the 21st century is re-evaluating traditional concepts of what a garden is all about. Working parents have less time to spend on garden maintenance. Modern mankind is extremely concerned about decreasing or vanishing fauna and flora. And gardeners in South Africa are becoming increasingly water savvy. Evergreen ground covering plants play a valuable role in conserving water in garden borders. When you think about it, a layer of evergreen low-growing small shrubs, perennials or ground covers will serve exactly the same purposes as a mulch - that is, they reduce water evaporation from the soil, they prevent weed problems and they buffer soil temperatures. As population growth increases and urban sprawl takes over the countryside, the preservation of habitats is becoming vitally important. Ground covers are increasingly recognised as significant habitat components. Earthworms and insects thrive in the cool, moist soil beneath ground covers. In turn these attract birds that forage at ground level for worms and insects. Some ground covers - such as low-growing Aloe species - provide nectar when in flower that attracts nectar-eating birds and bees. Some ground covers provide fruit for birds (such as Carissa macrocarpa) while others provide nutlets after flowering (Plectranthus species). One small way the home gardener can assist with carbon sequestration is to keep any bare soil in the garden covered. You can use ground covers or mulch - but ground covers make for a prettier picture for the spaces between shrubs and perennials in the border. Carbon seuestration is a vital technique in reducing global warming caused by, amongst other gases, carbon dioxide. The process of trapping carbon in forests, soils, geological formations and other carbon 'sinks' is called carbon sequestration. Plants trap carbon in their tissues and increase the amount of organic matter (carbohydrates) that can return to the soil. On the other hand, bare soil is exposed to air and to the warmth of the sun, which results in the breaking down of organic matter in the soil and the release of carbon dioxide into the atmosphere. Large lawns are beautiful, but the costs are high. Fuel for lawnmowers, fertilisers and pesticides, high water consumption and your weekend time are all part of the cost of lawn maintenance. The modern gardener is choosing to reduce the size of the lawn and plant ground covers instead. With careful selection, ground covers can provide masses of colour at ground level as well as different coloured blooms at different times of the year. Aloe x alworthia 'Blackgem' is a 15cm-tall succulent ground cover that is grown for its almost black foliage, and makes a dramatic statement when planted en masse. Plant in full sun to partial shade. Echeveria runyonii 'Topsy Turvy' has powdery blue succulent foliage, with the leaves curving backwards, giving a 'topsy turvy' appearance. For best effects plant en masse, in full sun or partial shade in soil that drains well. Crassula dejectais is a 40cm-tall indigenous succulent shrub that is one of the most spectacular of the crassulas when in flower. Has densely packed bright green leaves with clusters of tubular white flowers tinged reddish. Oscularia deltoidesis is a 20cm-tall indigenous succulent with silver-grey foliage and pink vygie-like flowers in summer. Dwarf agapanthus hybrids make superb water wise ground covers. Plant in sun or partial shade. Agapanthus 'Lilac Beauty' blooms prolifically. The lilac blue flowers change to a soft pink as the flower ages. Agapanthus 'Double Diamond' has double white flowers and blooms prolifically in summer. White carpet (Falkia repens)is an extremely low-growing perennial that bears small pink flowers that fade to white. It makes a wonderful indigenous 'daisy lawn' and thrives equally well in dry or moist soil, and in full sun or shade. Creeping red hermannia (Hermannia depressa) is a very low growing indigenous ground cover. It bears masses of deep pink pendulous blooms all summer long. Plant in full sun. Water mint (Mentha aquatica)is an indigenous ground cover for moist areas in the garden and between paving. The leaves give off a refreshing mint scent when crushed underfoot. Lobularia 'Snow Princess' is a perennial sweet alyssum, so it lasts much longer, grows larger and spreads further than the annual sweep alyssum. It will flower the whole year long. Plant in full sun. Pelargonium sidoides 'Cherry Pudding' has silvery foliage and pink flowers in summer. 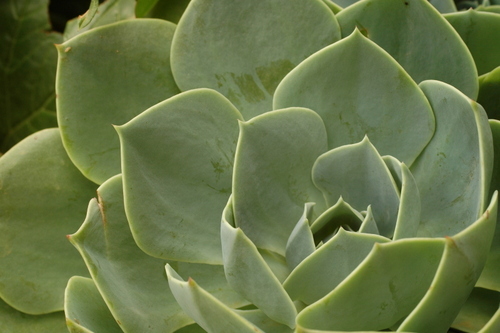 It has a mound-forming growth habit and is drought resistant. Sutera cultivars form bushy, low growing mounds, and have a long flowering season. Plant in full sun or light shade, and trim lightly between flowerings. 'Bermuda Sky' bears masses of lilac-pink blooms, 'Forever White' has the largest flowers of all suteras, and 'Shell Pink' bears a profusion of shell-pink blooms. 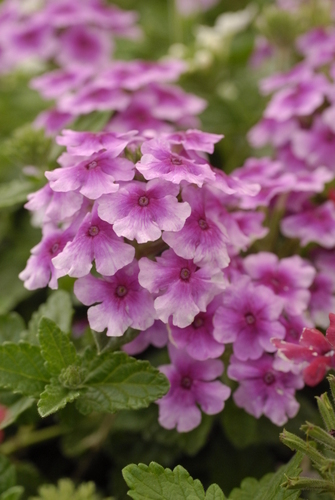 The Tapien verbena hybrids are fast growing, evergreen ground covers with a height of 15cm, and a spread of 80cm. They have a tidy multi-branching growth habit, and flower in summer and autumn. The cultivar 'Pink' has pink blooms and 'Salmon' has salmon coloured flowers. They tolerate mild frost. Plant in full sun. New arctotis hybrids. All arctotis are low water usage plants that thrive in most soil types, including coastal sand, provided the soil drains well. Plant in full sun. Both 'Safari Dawn' with deep golden yellow blooms, and 'Safari Sunset' with deep magenta pink blooms, have attractive grey foliage and flower all spring and summer. 'On Fire' is a compact, clump forming arctotis with large, red double-petalled flowers. 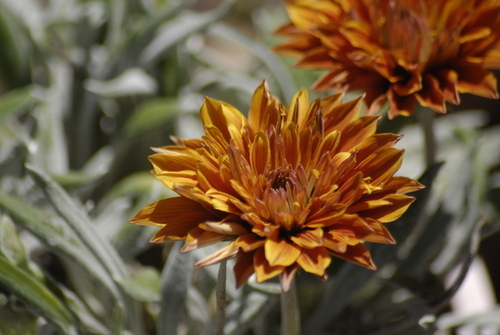 The Sunbathers gazania hybrids. 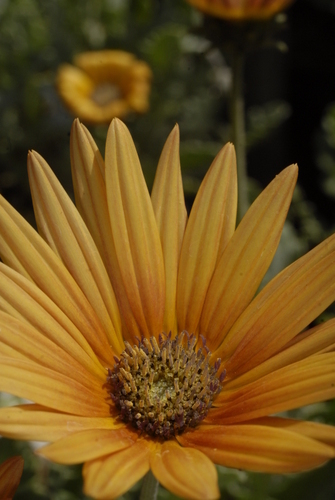 These gazanias have semi to fully double prolific blooms, a dense growth habit and improved frost tolerance. Even in difficult coastal conditions they grow well, and they are low water usage plants. Plant in full sun in soil that drains well. 'Nahui' has double orange blooms, 'Toptokai' has deep orange single blooms, 'Totonaca' has red and yellow bi-coloured flowers, and 'Sunset Jane-Lemon Spot' has pompon-like yellow blooms. Sweet potato vine (Ipomoea batatas). The cultivars of this frost-tender perennial vine typically grow 20cm tall with a 50cm spread and have varying leaf shapes and colours. The cultivar 'Bronze' has large palmate reddish-brown leaves, 'Purple' has dark purple foliage, and 'Lime' has leaves that are light green to chartreuse. Plant in full sun or partial shade in compost-enriched soil that drains well. 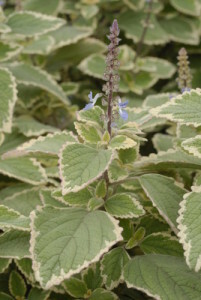 Plectranthus madagascariensis 'Variegated' is a water wise groundcover that has pretty green and white foliage, instead of the usual green and yellow combination. It grows 70cm tall and thrives in shade.